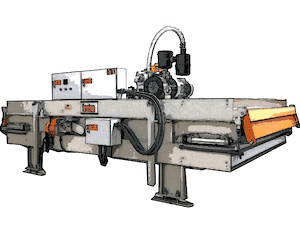 In this page you will find a list of used resin lines for marble and granite processing. 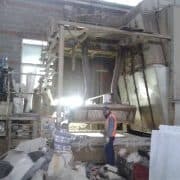 The resin coating procedure grants important characteristics to the stone such as: polish, abrasion resistance and many others depending on the kind of resin applied (epoxy, acrylic, polyester). 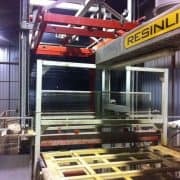 Resin coating slabs is important for different kinds of working such as floors, stairs, windowsills and coatings for interior surfaces thanks also to the esthetic value added. 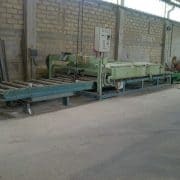 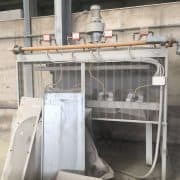 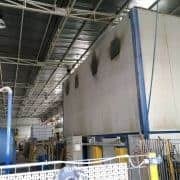 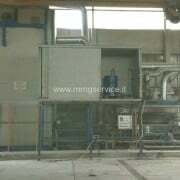 Used resin line FMeccanica in good condition; with elevator 39 floors: 22 drying + 17 desiccation.